I can't listen to this song (or the album for that matter) without tapping my feet, drumming my fingers and wishing I could play the banjo. Ok, not so much the last one, but these guys rock. Here's another favorite of mine from the album. I might be a little obsessed. I would LOVE to see them live! We got this show much later than when it began airing in the States so we're a bit behind on the episodes, but this show is hi-larious! Super funny cast, great writing..love it! I'm not even 1/4 of the way through this book, but I love it already. I was probably crying within the first couple of paragraphs. 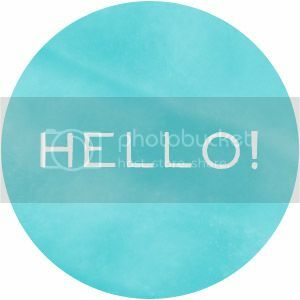 I have been following Kelle's blog for a couple of years now and upon discovering it, she quickly turned into my favorite blogger. I always look forward to reading her posts. She inspires me to be a better mom, a better friend and to live life to the fullest. 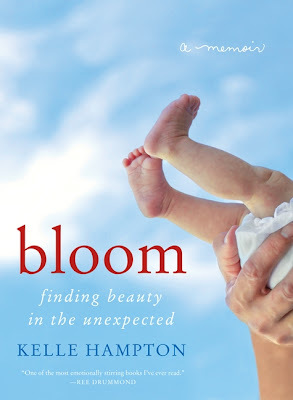 The book tells the story of the day she happily went to the hospital to give birth to her 2nd "perfect" child, but when Nella was born they discovered she had Down Syndrome. She beautifully tells the story and how this moment changed her life forever. Kelle's zest for life can sometimes seem a little over-the-top, but you can't help but be moved by her cheerfulness and her expertise at Enjoying the Small Things. I know there's more, but can't think of them now. If I think of them, I guess they'll make it into the next post. ﻿What are you loving lately?? The day after we went to the Soreq Cave, we joined a group from the embassy for a day at a dairy farm. When we arrived, the kids gathered grass. Jonathan really like this little guy. Once the bunnies were full, we got to go into his pen and get a closer look. At first, Kaitlyn didn't want to go near him, but after seeing all the kids around him she finally gave him a chance. Next, we prepared bottles so we could feed the baby cows. This calf was a bit aggressive. He pulled the bottle out of our hands. The second calf we fed was much calmer so Kaitlyn bravely gave him the bottle. Once all the calves were fed, the "Farmer" asked Kaitlyn to help him. Without skipping a beat, she went right along with him. The kids paid close attention as he explained that we'd be making chocolate milk and butter. Yummy! Jonathan got to help skim the fat from the milk for the butter. He was quite proud of himself. Kaitlyn helped mix the chocolate milk. She shared with her brother. Then he realized he needed his own cup. Smart boy! Jonathan found a little girlfriend for the day. This is Naomi. Isn't her outfit adorable?? She gets all of Kaitlyn's hand-me-downs and she just happened to be wearing one of Kaitlyn's old outfits this day. :) They held hands all afternoon. It was pretty darn cute. We ended the day with a picnic in the nearby nature reserve. The kids had a great time and it was quite a fun experience. We had a great, but exhasuting Easter weekend! Kaitlyn woke us up bright and early this morning and said she wanted to find where the Easter Bunny had hid the Easter eggs. Considering it was his first egg hunt, Jonathan found eggs like an old pro. Kaitlyn was such a sweet big sister, letting Jonathan have the big basket while she took the little felt bag to collect eggs. She even gave him a couple of eggs when he declared the ones she'd fine "mine". Daddy took a moment to have his first taste of a sugary treat after giving them up for Lent. Once all the eggs were found, the kids dug into their loot. 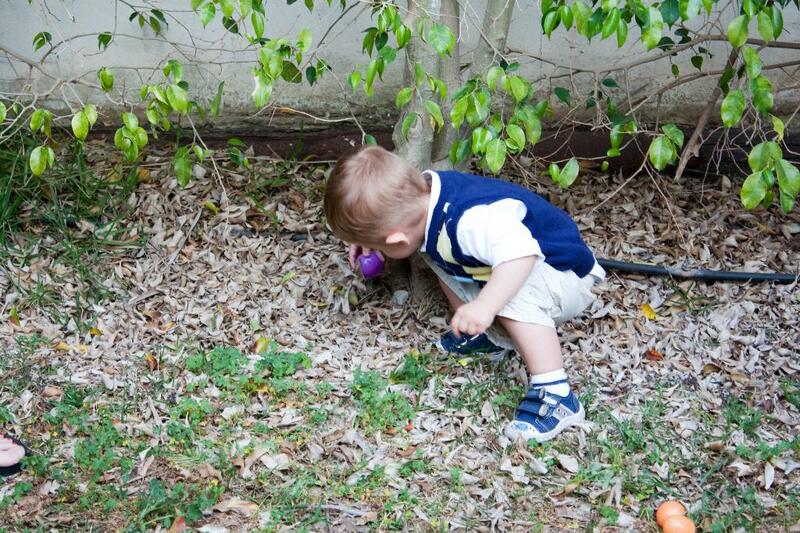 After church to we headed to our friend's house for a yummy Easter lunch and another egg hunt.